I’m sleeping on the couch alone in my home office tonight of all nights… Valentines day! All I know is the Colombiana reacted quite strongly (and not in a POSITIVE way) when I presented her Valentine’s Day card. Ladies, can you help me out and explain why the Colombiana got so upset? 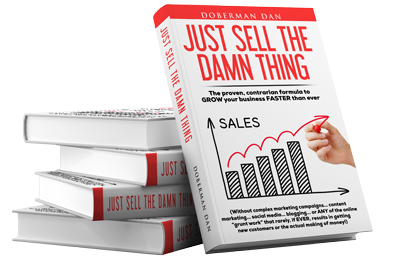 I’m just having a little fun with you today… but there is a marketing lesson in all this. 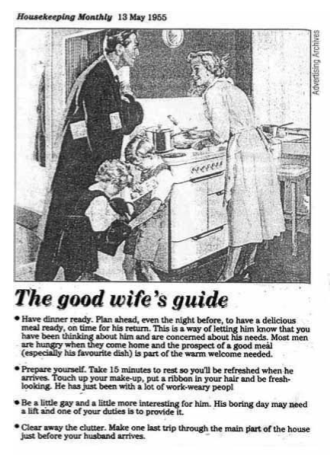 Imagine if you swiped an ad from this time period for a product sold to women. How successful do you think your swiped ad would be? Swipe files are great for generating ideas and seeing what has worked in the past… but the key words are “in the past”. Markets are constantly changing and evolving. Even an ad that was successful just a year or two ago may be a complete flop in today’s market. So yes, go ahead and use your swipe files to study successful ads and generate ideas… but to really write a successful ad, you need to enter the conversation going on in your customer’s head… at this very point in time right now. P.S. 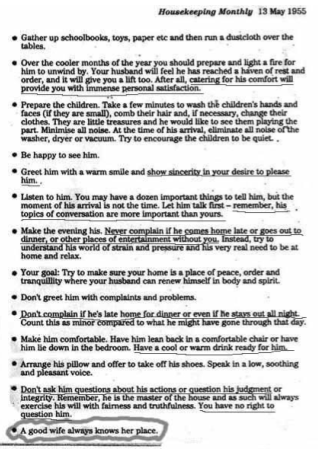 Guys, just for fun, show the Good Wife’s Guide to your wife and tell me what her reaction was in the comments section below.